The war of luxuries is getting hotter day by day, as automakers are leaving no stone unturned to cash in on the vying demand for more power and ruggedness. 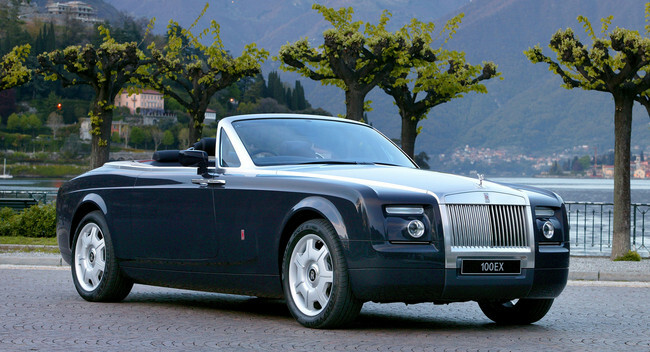 Rolls Royce, the king of luxury carmaker is keen to put a V16 under the hoods of new roadster that is going to launch somewhere in 2017. Not embedding the Phantom with V16 was their big ‘mistake’, as confirmed by the organization itself. As per expectations, new powerplant will be delivering more than 700 bhp, and will also not be something like a Bugatti Veyron, gaining a clout for top speed. Rolls Royce is famous for its finest craftsmanship and ultimate luxury which will be filled to the fullest in this one as well. Roadster confirmed to be a two-seater model and would be sporting soft-top, inclined in a spaceframe aluminum chassis pinning to that of 2016 Phantom. Taking a step further towards the next product, Rolls Royce will also launch luxury SUV for competing to that of Bentley’s EXP 9 F which had just bagged the green flag for production. No more words on that, but one can enjoy the Wraith on nearby Geneva paddock which is said to be doing Nürburgring in all its luxurious glory.